President Hassan Rouhani says Iran should exercise such foreign policy, which would rally the world behind it rather than behind the United States. 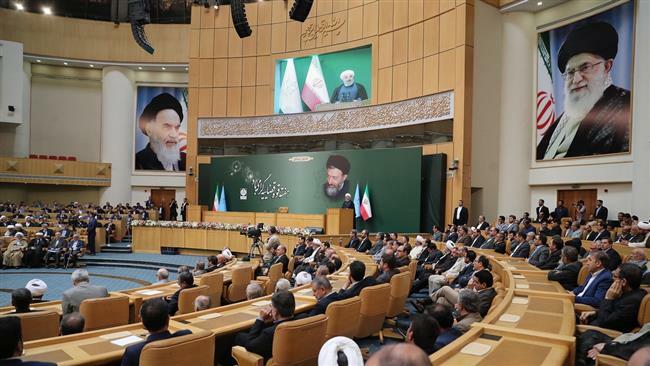 “We should not allow the US hand to expand and become powerful,” he said on Sunday at a meeting convened by Iran’s Judiciary. “Our foreign policy should be of such effect that would make powers condemn the US and reproach it should it choose to stand against us,” he added. The president said the US has become isolated in the international community because of its insistence to impose new sanctions against the Islamic Republic in breach of a nuclear accord. He proceeded to cite examples of Washington’s isolation on the world stage in its opposition against Iran. Rouhani recalled a Thursday plenary meeting of the United Nations Security Council held to address the implementation of Iran’s nuclear deal with world powers. The event saw the UN, the European Union, and many major world countries all speaking appreciatively of Iran’s commitment to the nuclear deal, while the United States alone cried foul.